Ireland: The First Twenty 20 of this 2-Day series gone to the Hong Kong’s ever highest score. The Hong Kong team beats Ireland by big 40. Today, both of them will again meet each other at the same venue on same time. Here we provided the Ireland vs Hong Kong Squad and predictable Playing 11. Ireland will play their second match today after the first match unpredicts loss at Bready Cricket Club on Tuesday in Magheramas. As per the prediction of yesterday match, we supported for Ireland team. Because of their recent records. The team had its record that beaten Hong Kong in ICC Intercontinental Cup by 70 runs. The match has concluded with the same (less experience) players of those who all played for Ireland on Yesterday Match. Paul Stirling, Niall O’Brien, Stuart Poynter, Tim Murtagh and Gary Wilson are there in the team. Hong Kong’s opening batsman showed his hard hands in the first match and it takes Hong Kong beats Ireland by 40 runs. In the ICC T20I rankings, the Hong Kong team stayed at the last position as 17 and Ireland at 15. Hong Kong had its rating as 29 and Ireland on 48. William Porterfield (captain), Peter Chase, George Dockrell, Joshua Little, Andrew McBrine, Barry McCarthy, Kevin O’Brien, David Rankin, James Shannon, Sean Terry, Greg Thompson, Lorcan Tucker (wicketkeeper), Craig Young. Babar Hayat (captain), Aizaz Khan, Tanwir Afzal, Nadeem Ahmed, Tanveer Ahmed, Chris Carter (wicketkeeper), Ehsan Khan, Nizakat Khan, Waqas Khan, Adil Mehmood, Ehsan Nawaz, Anshuman Rath, Ninad Shah, Shahid Wasif. Nizakat Khan and Babar Hayat knocks the victory door on their first match. Also, the bowlers such as Aizaz Khan, Tanwir Afzal, Nadeem Ahmed, and Tanveer Ahmed played well. Aizaz Khan and Nadeem Ahmed has covered the beginning overs of that match. They both controlled the Irelands total score as 40 by 4 in the sixth over. The Ireland team needs to fix their starting issue in their batting lineups. Also, the team will need to concentrate on the team coordination and bowling. 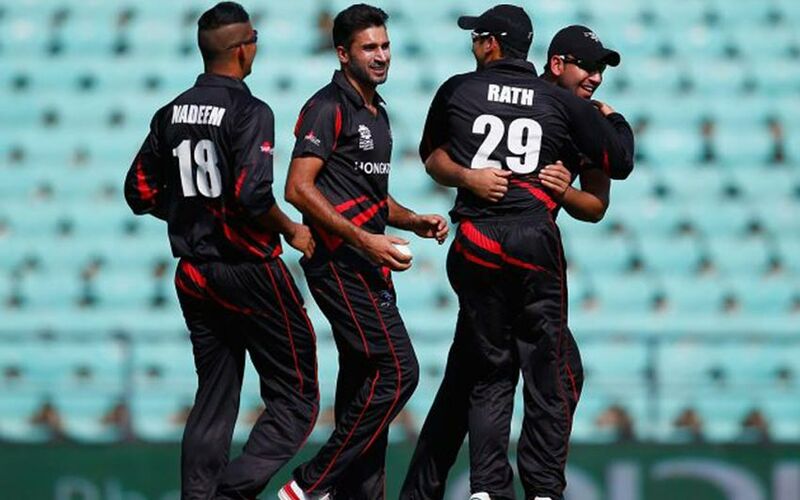 The team needs the victory to show their value on Twenty 20 International. Also, Hong Kong getting up with good performance and needs the series victory moment to play well on its upcoming ODI’s against Scotland. Here we provided the Ireland vs Hong Kong Playing 11 Prediction. As per the moments of last few matches and the player performance. William Porterfield (captain), Peter Chase, Joshua Little, Andrew McBrine, Kevin O’Brien, David Rankin, James Shannon, Sean Terry, Greg Thompson, Lorcan Tucker (wicketkeeper), Craig Young. Babar Hayat (captain), Aizaz Khan, Tanwir Afzal, Nadeem Ahmed, Tanveer Ahmed, Chris Carter (wicketkeeper), Nizakat Khan, Adil Mehmood, Ehsan Nawaz, Anshuman Rath, Shahid Wasif.